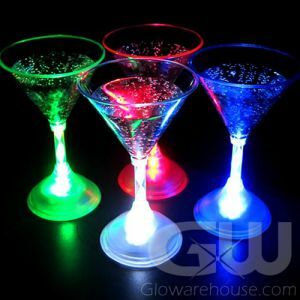 - 7 oz Light Up LED Champagne Flutes! 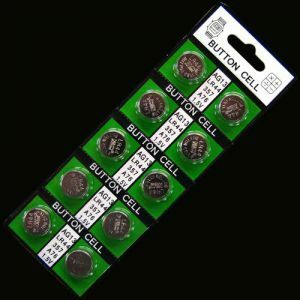 - 3 Modes - Flashing, Double Flash & Steady Light! 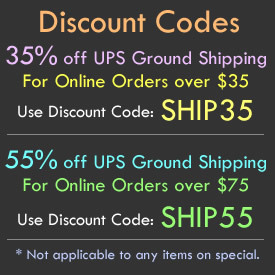 - Weddings! Celebrations! New Years Eve! 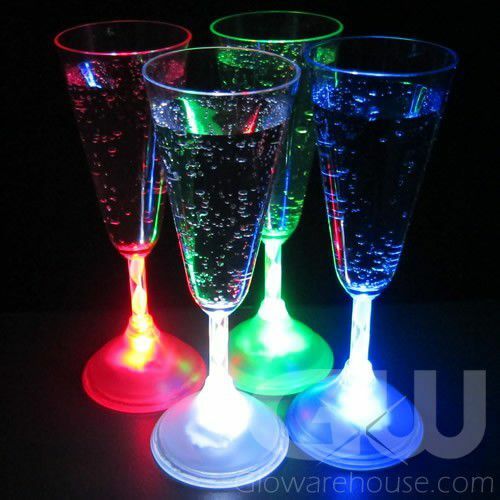 Light up the bubbly with Light Up Champagne Flutes! 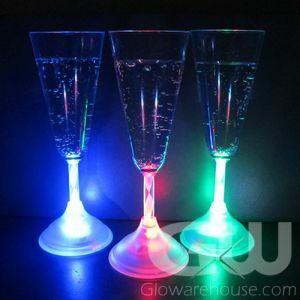 Perfect for banquets, wedding receptions, birthdays, anniversary parties, graduation parties and New Year's Eve, brilliantly lighted stemware from Glowarehouse.com is guaranteed to make any occasion come alive when the LED Champagne Glasses are turned on and the bubbles are flowing! And we've got the color to match your party's theme as the Glow in the Dark Champagne Glasses are available in Blue, Green, Red and White. 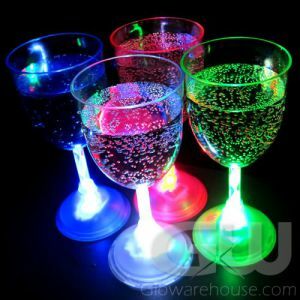 So start pouring and Instantly add color and light to your party with fun Light Up Champagne Glasses. The bubbly has never tasted so good! 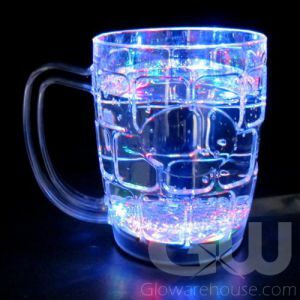 LED Champagne Glasses from Glowarehouse.com are lit from within by internal LED (light emitting diodes) that shine up through the center stem of the glass to create a beautiful lighted effect on the liquid inside the glass. Note: The acrylic plastic on the Red LED Champagne Glass is colored light red or pink, however the lights inside the flute are red. When the Champagne Flute is turned on, it lights up with bright red light.